The date of the house is 16th. century, and it is in excellent preservation. With the exception of the solid chimney stack in the centre, there is no brick or stone partition in the inside. All the interior walls are lath and plaster, supported by oak panelling. 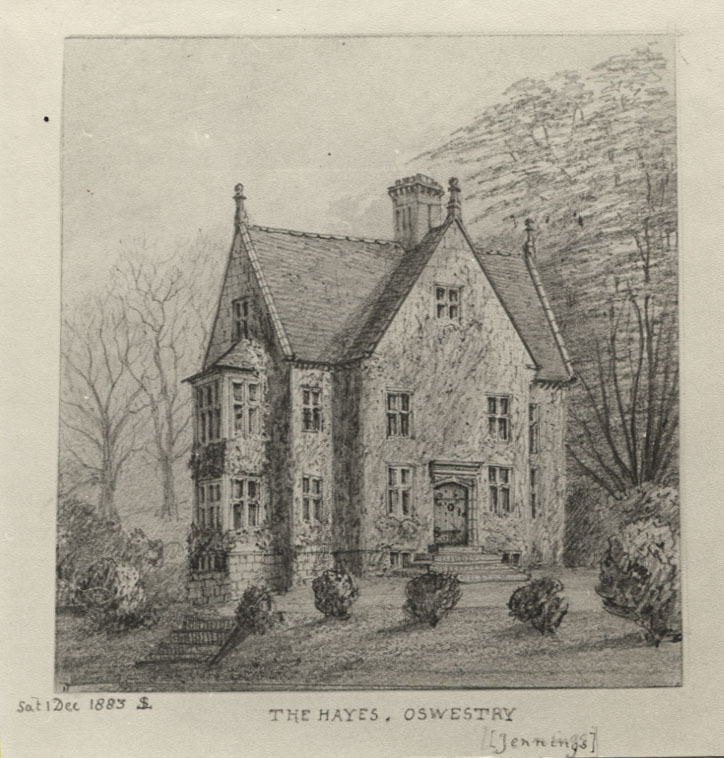 Richard Hill Waring, recorder of Oswestry from 1763 to 1799, owned this place which was sold by Major Scott Waring, (of ‘Warren Hastings celebrity,) to Mr. Jennings.